It is turning out the be the party not to be missed! 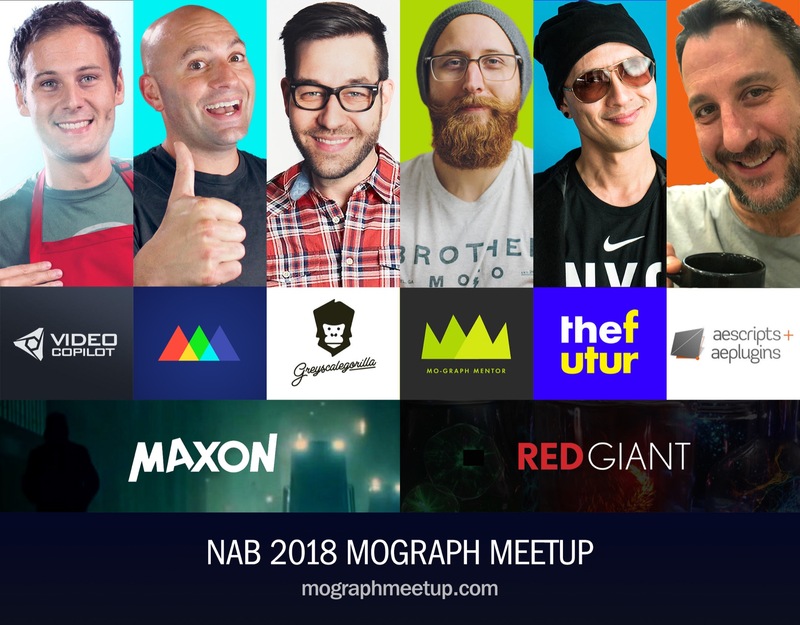 Join School of Motion, Greyscale Gorilla, The Futur, Video Copilot, Mograph Mentor, Maxon, Red Giant and aescripts + aeplugins at the NAB 2018 MoGraph Meet-up! Join Chris Do, Andrew Kramer, Lloyd Alvarez, Michael Jones, Nick Campbell, and Joey Korenman as well as hundreds of other like-minded motion designers and animators. Space and drinks are limited, so be sure to RSVP in advance. Drink tickets are first-come-first-serve, so don't miss out!